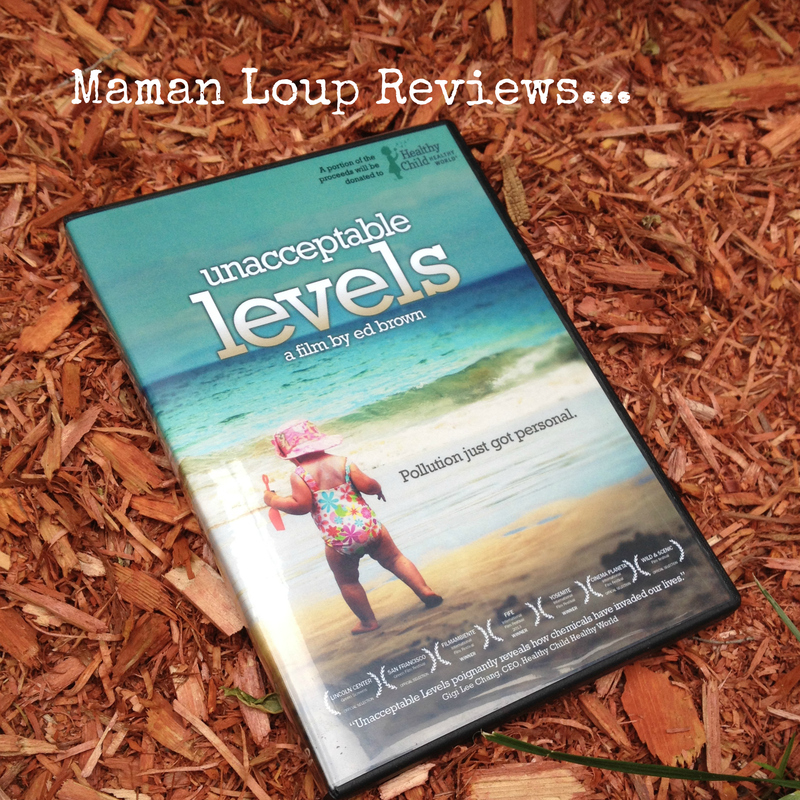 Unacceptable Levels Documentary Review: learn. think. act. Everyone approaches the topic of invisible (and sometimes all-too-visible) toxins in our day-to-day lives from a different standpoint. I started learning about toxins in cosmetic products, household products and the food chain within the past decade, and it has taken me until now to implement the myriad changes in my lifestyle that led me to volunteering as a David Suzuki Queen of Green Coach this year. One of the taglines of debut-documentary-filmmaker Ed Brown’s Unacceptable Levels is “learn. think. act.” I would consider myself in the “act” stage, and part of my toxin-fighting action is writing my blog. Like a lot of us, Ed Brown became most concerned about industrial chemicals in our surroundings when he had children. He begins the film by musing about whether his wife’s two miscarriages, her Crohn’s Disease and his asthma might just be due to the generally untested substances that have infiltrated our consumer landscape since World War II. It’s a promising start to the film and one that definitely piqued my curiosity. That being said, this movie will most certainly serve as a jumping off point for many people in their journey to change their consumer habits and make choices that are safer for themselves and the environment in the long term, rather than being convenient in the short term (which is basically what got us into this mess in the first place). If you’ve already started making changes but face skepticism from your entourage, this film might just be the tool to get your friends and family on board. Because the topic of the (80,000!) industrial chemicals that populate our daily lives is so vast, this movie is divided into subtopics, each one playing out like a trailer to its own, dedicated documentary: our water system, food system, pesticides, the home, personal care products and so forth. To someone blissfully unaware of a lot of the frightening truths told in Unacceptable Levels, it’s a lot of important and just-shocking-enough information without fear-mongering. What I would’ve liked to see more of in this documentary is inspiration for action. I recognize that the topic itself is enormous, but I fear that some viewers, once they’ve learned about the lack of regulation in the cosmetic industry, the fact that 90% of our consumer goods are built on hydrocarbons and that are babies are born prepolluted with 100s of man-made chemicals already in their bodies, will simply be overwhelmed and not know how to take action. Ed Brown tells his viewers to pick one thing, get curious about it and get answers. If our convenience culture of items that we buy, use, throwaway and buy again (as he rightfully observes) is proof of anything, it’s that the masses need easy solutions. While there is no single simple solution to ridding our lives of toxins, what I would’ve liked to see in the movie is examples of how Ed and his family took action in their own lives. Demonstrating that some changes are actually really simple could really help viewers from just sticking their heads back in the sand. The film is full of glimpses of the family’s daily lives: the children’s toys, the products they use to clean their home, what they eat and what they put on their bodies. What concrete changes did the Brown family implement, and what have been the positive consequences of these changes? If, after all of his research, Ed could name 5 steps for families to take right away… what would those be? No more Kotex, Tampex, and co. for all your ladies out there. Go reusable or go natural. Eat real food. Shop the perimeter of the grocery store and try to get some organic products. Tricked you! That’s SIX steps, but I couldn’t help myself. You can also check out all my posts on Greener Living for inspiration, and I strongly recommend this article by David Suzuki’s Queen of Green: The ABCs of avoiding every day pollutants. 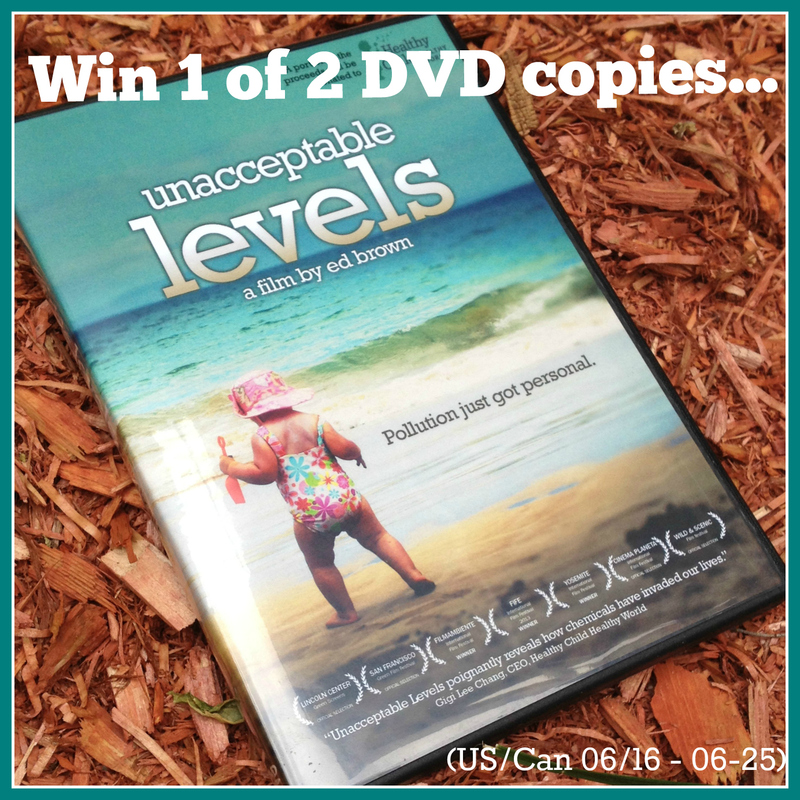 Would you like to see Unacceptable Levels? You can rent or buy it here. Plus, enter to win a copy by clicking below! I have been super curious about this movie. Great review! And great 5 (6) steps!!!! are damaged is unique to species such as geckos and newts. too your won web site.